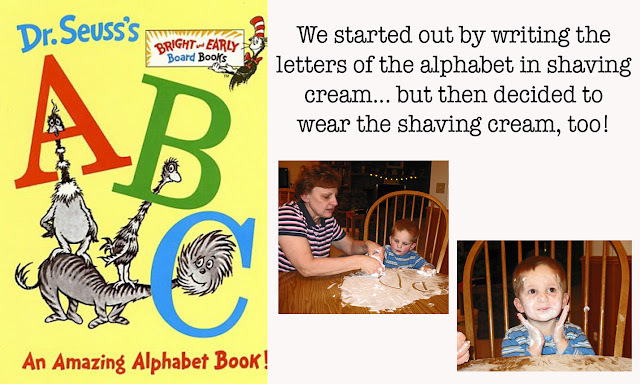 You are here: Home / craft / Seuss Extravaganza! 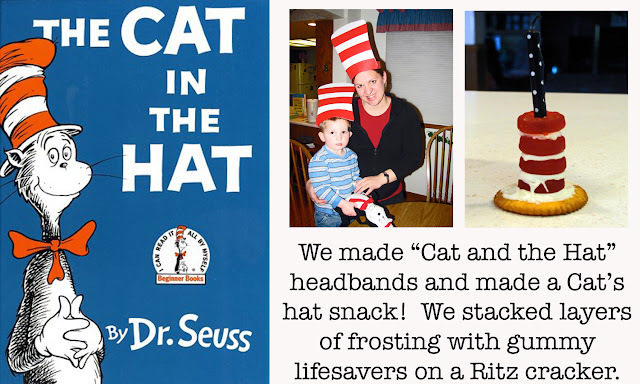 I am so late in posting this, but I still wanted to share our Dr. Seuss birthday party on Tuesday night. I love having family close by... so my parents and sister's family joined in on the fun!! 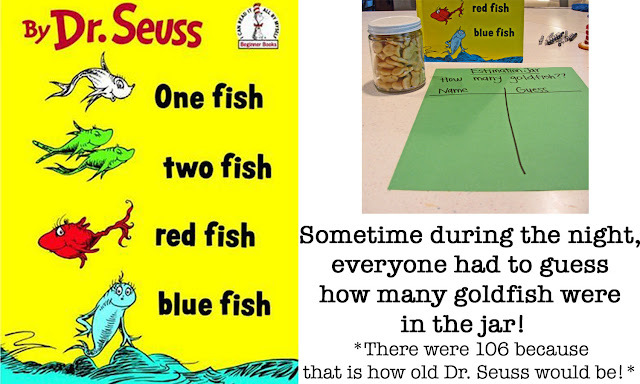 We read TONS of Dr. Seuss books, and with each book we read, we did some fun hands-on activities. 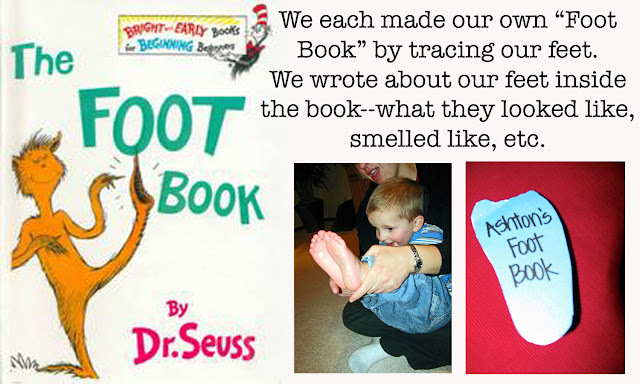 PS Thanks again to Rebecca at Root & Wings Co. for the cute ideas about the personalized foot book and headbands! 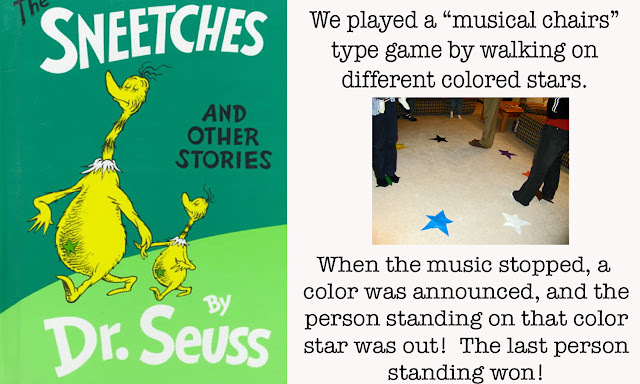 PPS Don't forget to download the Dr. Seuss matching game for Free Download Friday!! Enjoy! Looks amazing! Super fun ideas! I love the ritz cracker hats. My daughter came home with a similar snack using ritz crackers and marshmallows and wrapping a red licorice around the marshmallow for the red stripes! So cute. 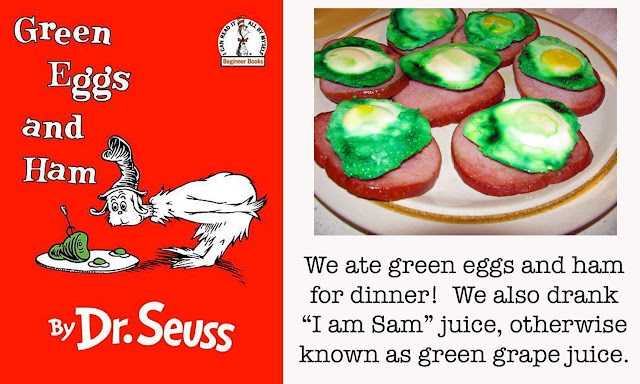 I LOVED your green eggs and ham! We did green scrambled eggs and bacon for our ham! CUTE CUTE CUTE!! And even Justin is sporting a Seuss hat! I love it! you made green eggs?! You daring mommy! Adorable!!! What fun ideas!! Looks like everyone had a BLAST! What great ideas. 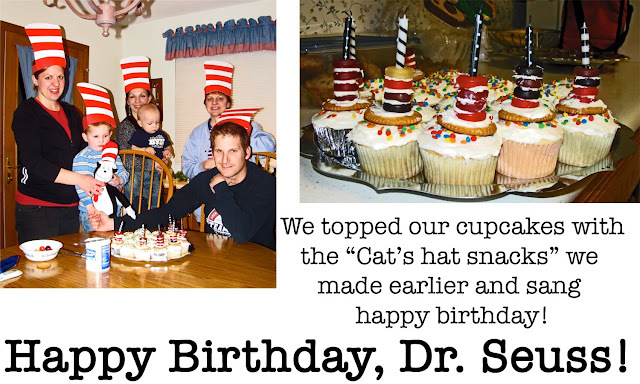 We love celebrating Dr. Suess. I am going to bookmark this for next year! What a fun and original party!! Thanks for linking up and for sharing with us!! 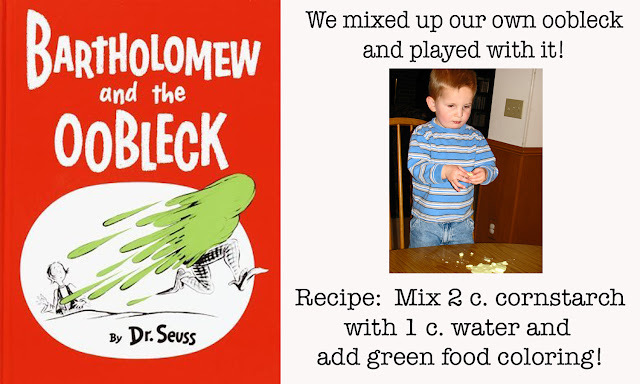 LOVE you oobleck idea and included it in my Dr.Seuss birthday round up today! What fun ideas!!! I love it!